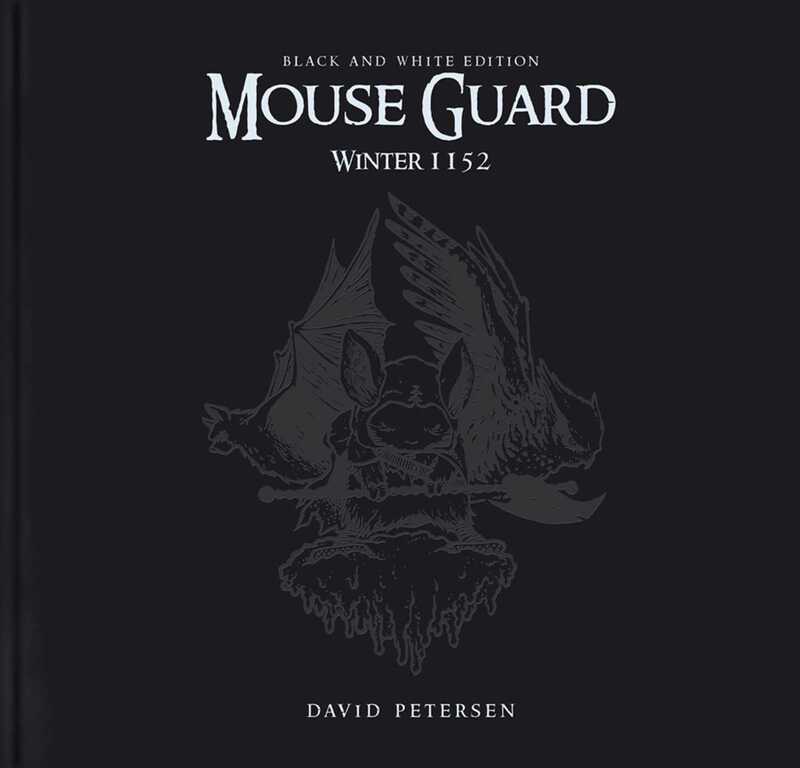 This limited edition of Mouse Guard: Winter 1152, presented in the original size and format (12" x 12") of David Petersen's black-and-white artwork, is hand numbered and perfect for fans of the series. In the Winter of 1152, the Mouse Guard face a food and supply shortage threatening the lives of many mouse through a cold and icy season. Some of the Guard's finest — Saxon, Kenzie, Lieam, and Sadie, led by Celanawe, the legendary Black Axe — traverse the snow-blanketed territories acting as diplomats to improve relations between the mouse cities and the Guard, and find themselves on a race against time to deliver crucial medicines. This is a winter not every Guard may survive… Collects the second Mouse Guard series by Russ Manning Award-winner David Petersen.